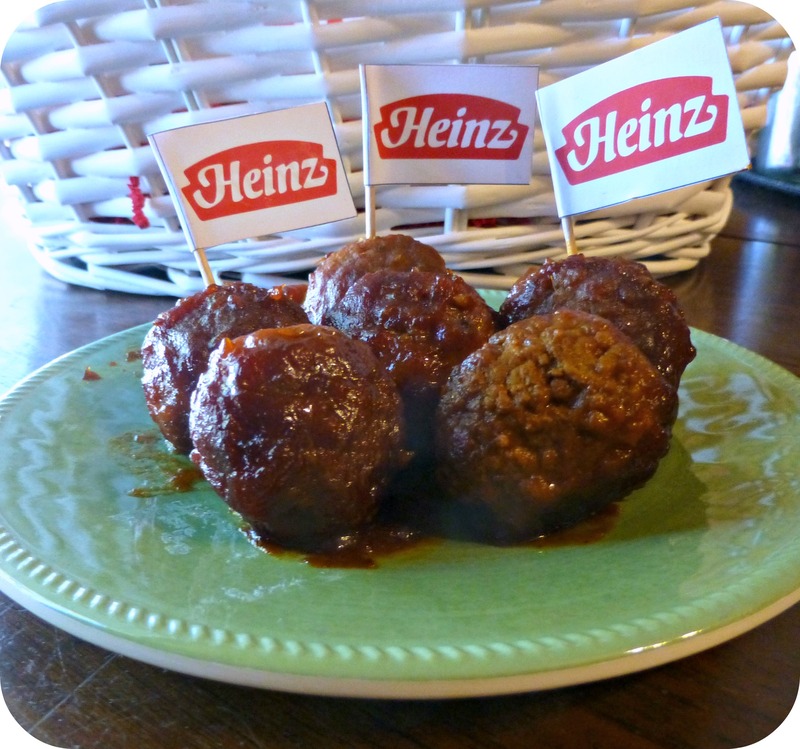 *I was provided with Heinz, Johnsonville, and Ocean Spray products to recreate The Ultimate Party Meatballs Recipe. Any opinions are 100% my own. When it comes to party recipes and Football Food, the fewer ingredients the better, for me. I like foods that are full of flavor, easy to make, and wow my guests. This Ultimate Party Meatballs Recipe takes three ingredients and can be cooked on the stove or in the Crock Pot! 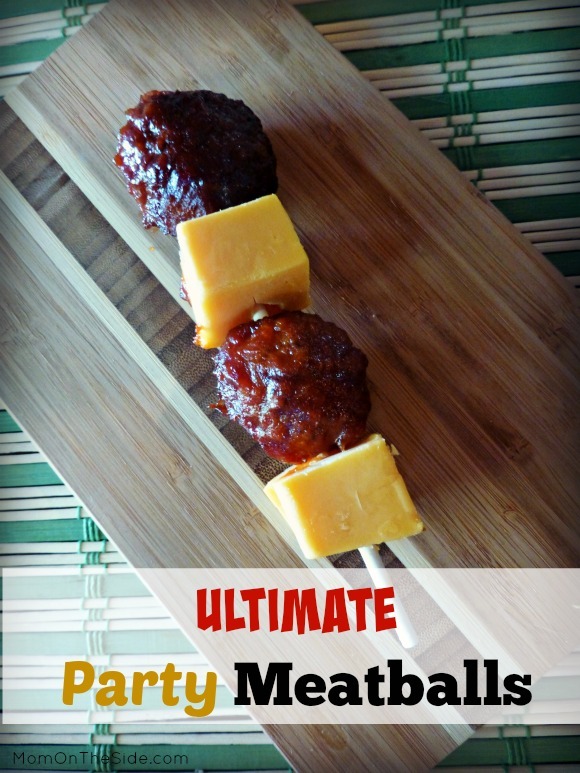 If you are looking for a convenient Football Party Appetizer to throw together, or an easy weekend meal, this Ultimate Party Meatballs Recipe is for you! With three ingredients and three steps, it doesn’t get much easier than that when it comes to a delicious meatballs recipe! This is the first time I had used Johnsonville Meatballs and it was a lot easier than rolling my own! They are a couple of varieties available including Classic Italian Meatballs, Three Cheese Meatballs, and Homestyle Meatballs. Each 24oz bag contains 28 meatballs which was a good amount for the six of us that munched on them. This is also the first time I had used Heinz Chili Sauce and I loved the tangy flavor! I’m looking forward to trying this sauce out in other recipes and I bet it would be great on a burger! The Heinz Chili Sauce, paired with Ocean Spray Cranberry Sauce seemed odd at first, but actually melted together very nicely. Sweet, Tangy, and full of meaty flavor is a great way to describe the Ultimate Party Meatballs! 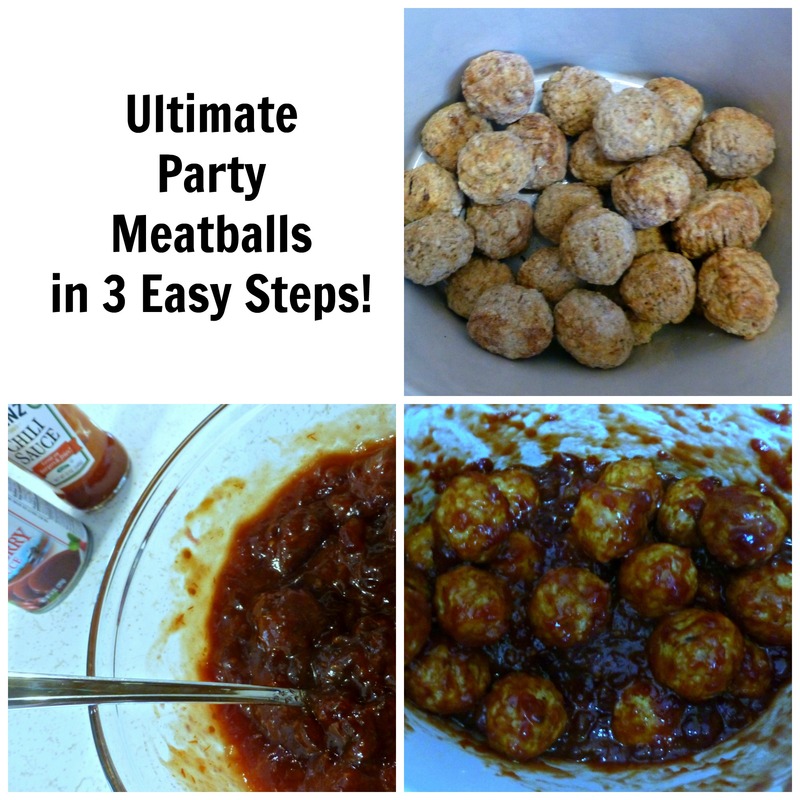 The next time you are planning a get together, or looking for a quick snack to throw together, give this Ultimate Party Meatballs a try! Your taste buds won’t be disappointed and you will still have time to enjoy the party! Great recipe! I love using Heinz Chili Sauce. I use it in my homemade BBQ sauce all the time. Your meatballs sound awesome! Thanks so much for sharing at Celebrate It! These look awesome! Especially paired with the cheese! Thank you for sharing this at the #SmallVictoriesSundayLinkup! Your party meatballs looks awesome! Thanks so much for sharing with us at Full Plate Thursday this week. Hope you are having a great day and come back soon!